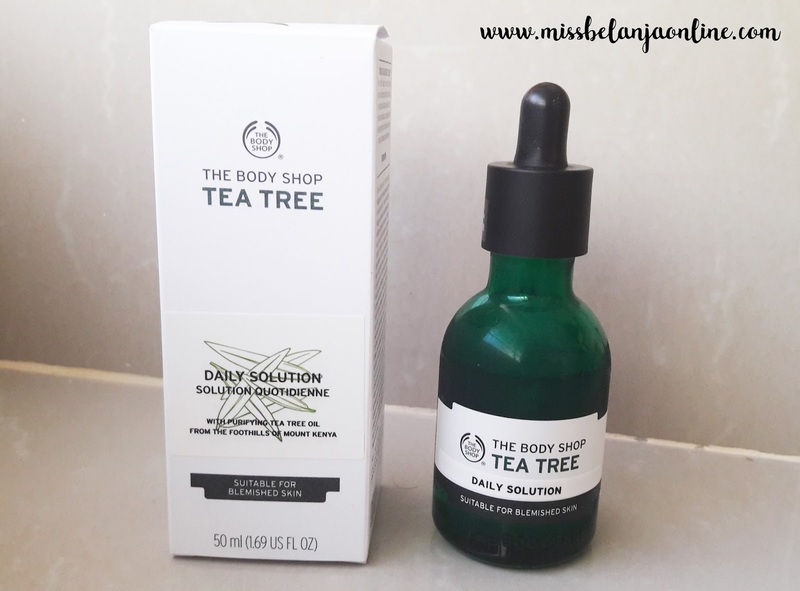 The Body Shop launched a new product from their tea tree line called tea tree daily solution. Being a die-hard fans of tea tree, I make sure to buy the new product as soon as possible and finally last month I bought it. 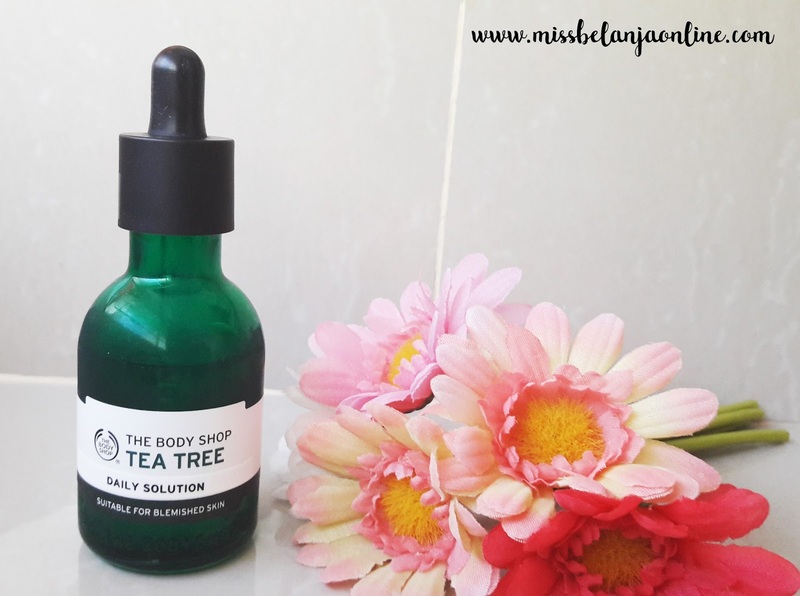 I always beg for a tea tree serum from TBS. I used all their tea tree range since few years ago (maybe around 2009 or 2010), they had everything from cleanser to face mask. They even have tea tree blotting paper! but why no serum? 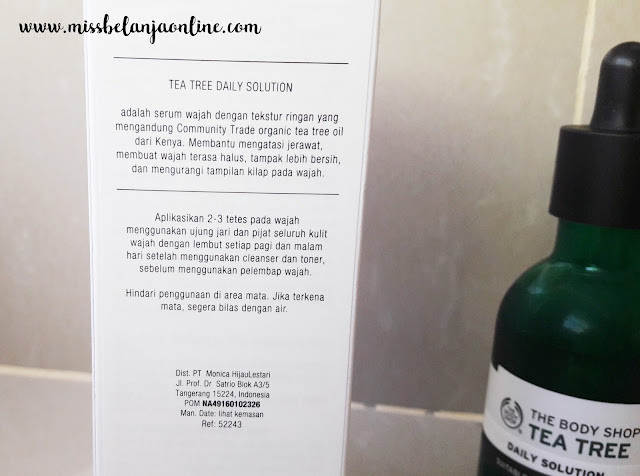 Finally the day is coming~ they launched Tea Tree Solution last month which works like pre-serum. Used it after toner and before moisturizer. 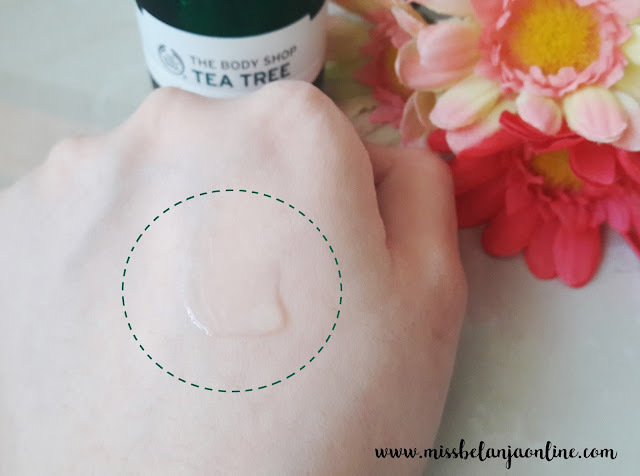 Hallelujaaahhh~ Along with the new products, they also change all the tea tree packaging. I personally love the new packaging because it looks more elegant than the old one. The color is slightly darker and the design is also more simple. To use it, pinch 1-2 drops of the serum and pat it gently all over the face. Remember to clean the face first with face cleanser and apply some toner, then continue with this serum. After that apply moisturizer and another cream from your skincare routine. I think the amount is quite huge for a liquid serum. Plus I only need 2-3 drops everytime I used it. So I think it will last with me for 5-6 months. The texture of this serum is liquid, transparent color like water. It has *of course* tea tree scent but not as strong as the toner. It absorb quickly and makes my skin become matte. In term of function, I believe this serum just like the others tea tree products, is targeted to heal acne problem. 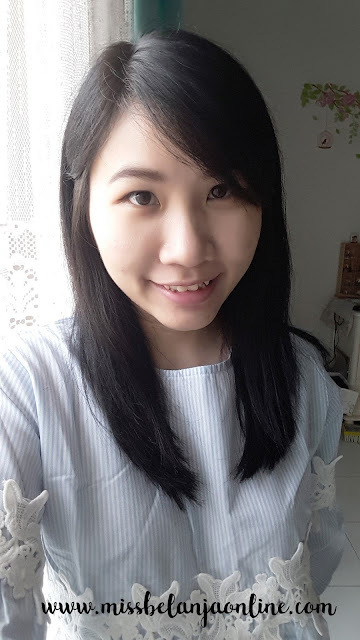 During my 1 month used this serum, I can see an improvement on my skin, though I still have acnes on my face. Also my skin tends to break out during my period. But, it does help to make my skin smoother and I love the cooling effect from the tea tree. It is worth to try? Yes, if you have oily/acne skin you maybe want to try this. 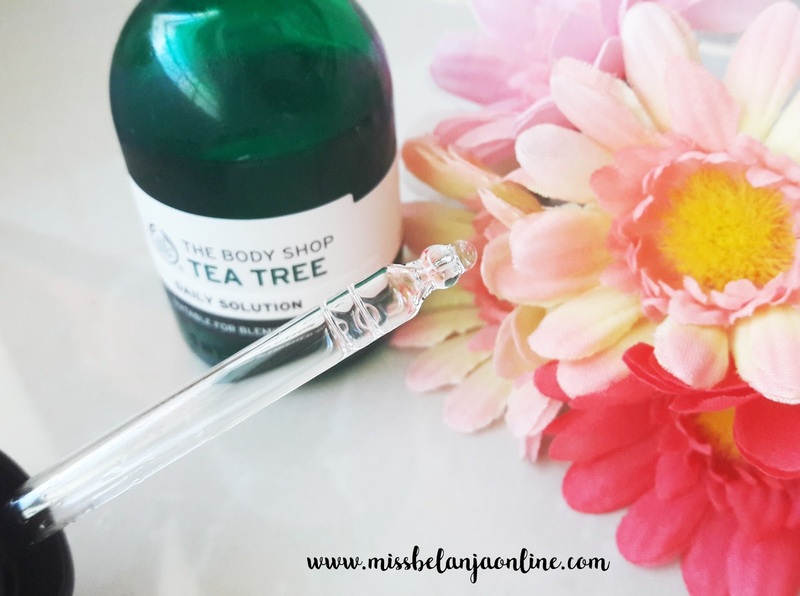 I personally love the mattifying effect and to use something that contains tea tree always makes me at ease. Plus you can use it under make up, which is really helps to calm your face before you put some cosmetics. wah... u never missed the tea tree line at all ^o^. I love their tea tree oil too. aku udah patah hati duluan dengan tea tree oil nya.. wajah aku nolak, jadi ruam-ruam merah.. series tea tree nya aku masih 50:50 mau beli..